My little tournament of short stories came down to the final round this weekend–a match up between Francis Wyndham’s The Ground Hostess and Raymond Carver’s A Small, Good Thing. Because, after quite a few rounds of reading, both Mr. Wyndham and Mr. Carver have become two of my favorite authors, I had no idea who was win going into the final round. I love them both. I knew that Mr. Wyndham would be charming and a bit melancholy and I expected Mr. Carver to work this strange magic I’ve found in many of the stories in Cathedral so far. Both authors delivered the goods. The Ground Hostess is a charming take on Oscar Wilde’s notion of Bunburrying from The Importance of Being Earnest. In Mr. Wilde’s play a young man invents a sickly friend, Bunburry, whom he uses as an excuse to get out of engagements he doesn’t want to keep. Sorry, I can’t meet for lunch on Thursday…my old friend Bunburry is under the weather again so I’ll have to go down and pay him a visit… try to cheer the old boy up a bit. The narrator of The Ground Hostess basically wants to be alone after the death of his mother. He plans on writing a memoir about her, maybe, to occupy the time but he can’t get his well-intentioned friends Jeremy and Harriet to leave him alone. They are constantly calling him up, inviting him out, dropping by, hoping to relieve some of the grief he must be going through after years of living with his mother. The narrator tries telling them he is working, which got the rest of his friends to leave him alone; when that fails, he invents a new lover knowing that a new love is the perfect excuse to stop seeing everyone. He has never dated anyone before, appears to be asexual, which means he has never asked out either Harriet or Jeremy. Harriet, who does not know Jeremy, assumes he must be gay. Jeremy, who is gay, assumes he must be straight. So he tells Harriet that he has met a man, Tone, an Australian flight attendant for Quantas and Jeremy that he has me a woman, Linda, an aspiring actress who works in fringe theatre productions. The two leave him alone which is just what the narrator wants until a one day a very excited Harriet calls him to tell him she has just met a handsome Australian flight attendant who works for Quantas named Tone. It must be your Tone, how many flight attendants named Tone could possible work for Quantas. But don’t worry, I didn’t let on. The next day, he gets a call from Jeremy…. The twists in the end were both expected and unexpected and quite a bit of fun. 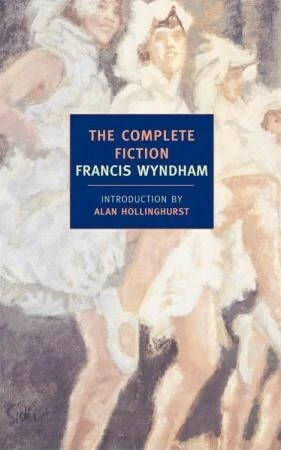 That the writing is also very good, adds to the pleasure of reading Francis Wyndham. Think of P.G. Wodehouse if he had been born Eveylyn Wood’s younger brother. Or something Tennessee Williams might have written after spending a summer at Brideshead. So things were defiantly going along in Mr. Wyndham’s favor until Raymond Carver worked his magic, because magic is the only word that works for me here as corny and un-lit-crit as it is. A Small, Good Thing is about two parents who lose a child. 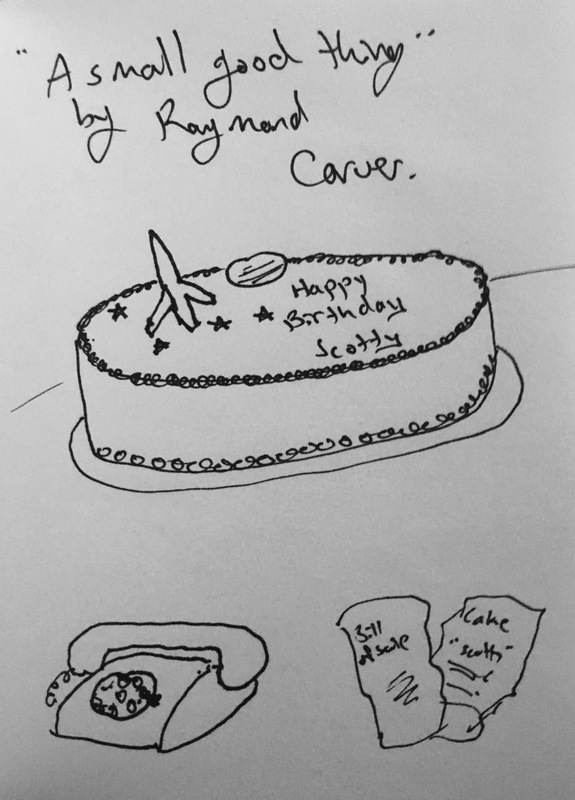 The mother orders a birthday cake for their son, Scotty who is turning eight. The next day he is hit by a car while on the way to school. She and her husband spend the next three days at the hospital by Scotty’s side, out of their minds with worry while the doctors perform tests, trying to understand why Scotty won’t wake up. Once both parents are home again they get another call at five in the morning. By this time, the mother has realized that it’s the baker. The two set off to the bakery to confront him. Once the three are together the story takes an unexpected turn that produces what I can only describe as a moment of grace. It worked so well for me that I felt like I was sharing it with the three characters for a page or two. I wanted it to go on, to last longer, how often to we get a moment of grace? So the final round goes to Raymond Carver who will advance into the next tournament–I’ve only read about 1/3 of the stories in Cathedral so far which leaves many more potential moments of grace. Haruki Murakami’s Blind Willow, Sleeping Woman vs. The New York Stories of Elizabeth Hardwick. Raymond Carver automatically advances to round 2. My original intention was to do this entire tournament before school starts up again but it’s almost July so I don’t see that happening. What do you think? Any early favorites in the list above? Great concept to compare authors…. qualifying round, knock out rounds and the finals! I’m trying to read more short stories this year. I found a few new writers I can investigate in your post. Cathedral. Reading Carver short story is like opening a Xmas present. You shake it and wonder what is inside. That’s a great way to think of Raymond Carver’s stories. I’ve enjoyed reading short stories in tandem. It’s also be a good way to write about them. Writing a review of a short story, even an anthology of them, is more difficult than you might think. Did you know that Carver published an earlier version of that story called The Bath? It’s interesting to read them both. The Bath was an OK story, and you can see the footprint for what later became a masterpiece. A Small, Good Thing never fails to wreck me when I read it. Did you know the Carver story was a second version? He originally wrote and published a story called The Bath, then later revised it into A Small, Good Thing. It’s fascinating to read them together and see the leaps he made into the later masterpiece. I did not know that. I’ve very new to Carver, so I know next to nothing about him. Once I finish with Cathedral, I may look this one up. A Small, Good Thing is such a wonder it does not surprise me that it had to go through an earlier version to get to be so good.